What does REF, New, NOB, and F/S mean? What is the cut-off time for same day shipping? How to contact eGoods Supply? Can I buy a used time machine? Refurbished, New, New in Open Box, Factory Sealed. REF: Refurbished. Item is refurbished. New: A new, unused item without the original packaging. NOB: New in open box. A new, unused item with the original packaging but not sealed. F/S: Factory sealed. Item comes with the original sealed factory box. Never opened. If you place an order by by 4:00 p.m. Pacific Standard Time (US), it should be packed and shipped that same day. Orders placed after 4 p.m. Pacific Standard Time (US) will ship the following day. Yes, contact us to learn how to get started. Yes, we do offer drop shipping service. We do not charge a fee for drop shipping. You simply pay for the cost of the goods and shipping to your customer. You are also welcome to use your own shipping carrier if you have any that you work with. Schedule a visit, give us a call or email us. eGoods Supply is located in sunny southern California. Our mailing address is 123 N Sunset Ave, City of Industry, CA 91744-1850. To reach us by phone, please call (626) 898-5383. To email us, please use the contact form under “contact us” page. To visit, please contact us in advance for an appointment. We are open and staffed Monday through Friday 9:00 a.m. to 5:30 p.m. Pacific Standard Time (US), subject to holidays. Small form-factor pluggable (SFP) is a specification for a new generation of optical modular transceivers. The devices are designed for use with small form factor (SFF) connectors, and offer high speed and physical compactness. They are hot-swappable. SFP transceivers are expected to perform at data speeds of up to five gigabits per second (5 Gbps), and possibly higher. Because SFP modules can be easily interchanged, electro-optical or fiber optic networks can be upgraded and maintained more conveniently than has been the case with traditional soldered-in modules. Rather than replacing an entire circuit board containing several soldered-in modules, a single module can be removed and replaced for repair or upgrading. This can result in a substantial cost savings, both in maintenance and in upgrading efforts. Serial-attached SCSI (SAS) is a method used in accessing computer peripheral devices that employs a serial (one bit at a time) means of digital data transfer over thin cables. The method is specified in the American National Standard Institute (ANSI) standard called Serial-attached SCSI (Small Computer System Interface), also known as ANSI/INCITS 376-2003. In the business enterprise, serial-attached SCSI is especially of interest for access to mass storage devices, particularly external hard drives and magnetic tape drives. SAS offers advantages over older parallel technologies. The cables are thinner, and the connectors are less bulky. Serial data transfer allows the use of longer cables than parallel data transfer. Problems related to crosstalk are less likely in serial interfaces than in parallel interfaces, because there are fewer conductors in the cables. The hardware for serial interfaces is less costly than the hardware for equivalent parallel interfaces. Serial ATA (Serial Advanced Technology Attachment or SATA) is a standard for connecting and transferring data from hard disk drives (HDDs) to computer systems. As its name implies, SATA is based on serial signaling technology, unlike Integrated Drive Electronics (IDE) hard drives that use parallel signaling.The technical specifications governing Serial ATA device interfaces are authored by the nonprofit SATA-IO industry consortium. The consortium has made several revisions to SATA standards to reflect increased data transfer rates. SATA Revision 1 devices were widely used in personal desktop and office computers, configured from PATA drives daisy chained together in a master/slave configuration. SATA Revision 1 devices topped out at a transfer rate of 1.5 gigabits per second (Gbps). SATA Revision 2 devices doubled the transfer speed to 3.2 Gbps with the inclusion of port multipliers, port selectors and improved queuing. SATA Revision 3 interfaces support drive transfer rates up to 6 Gbps. SATA Revision 3 drives are backward-compatible with SATA Revision 1 and SATA Revision 2 devices, albeit with a lower transfer speed. SATA Revision 3.1 is an intermediate revision that added final design requirements for SATA Universal Storage Module for consumer-based portable storage applications. SATA Revision 3.2 added a specification known as SATA Express (SATAe), which supports simultaneous use of SATA ports and PCI Express (PCIe) lanes. Also Called Disk Array Controller. A RAID controller is a hardware device or software program used to manage hard disk drives (HDDs) or solid-state drives (SSDs) in a computer or storage array so they work as a logical unit. A controller offers a level of abstraction between an operating system and the physical drives. A RAID controller presents groups to applications and operating systems as logical units for which data protection schemes can be defined. Because the controller has the ability to access multiple copies of data on multiple physical devices, it has the ability to improve performance and protect data in the event of a system crash. In hardware-based RAID, a physical controller is used to manage the RAID array. The controller can take the form of a PCI or PCI Express (PCIe) card, which is designed to support a specific drive format such as SATA or SCSI. (Some RAID controllers can also be integrated with the motherboard.) A RAID controller may also be software-only, using the hardware resources of the host system. Software-based RAID generally provides similar functionality to hardware-based RAID, but its performance is typically less than that of the hardware versions. A host bus adapter (HBA) is a circuit board and/or integrated circuit adapter that provides input/output (I/O) processing and physical connectivity between a host system, or server, and a storage and/or network device. Because an HBA typically relieves the host microprocessor of both data storage and retrieval tasks, it can improve the server’s performance time. A HBA and its associated disk subsystems are sometimes referred to as a disk channel. HBAs are typically defined by interconnect technology, speed, port count and system interface. A HBA is sometimes called an HBA card. The HBA card often plugs into the PCI Express (PCIe) slot of a server. Other HBA form factors include mezzanine cards for blade servers. Although the term HBA applies to a variety of interconnects, it is most commonly used with storage protocols such as Fibre Channel (FC) and serial-attached SCSI (SAS). A SAS HBA is a type of Small Computer System Interface (SCSI) HBA, but the term SCSI HBA is no longer in widespread use. A SCSI HBA typically is associated with parallel SCSI, a once popular data transfer technology that has largely been displaced by faster SAS. Small form factor (SFF) refers to any of several physically compact connector designs that have been developed for use in fiber optic systems. They are about half the size of conventional connectors. Currently there are at least three designs: the LC by Lucent, the VF-45 by 3M, and the MT-RJ by Tyco. The main motivator for the development of SFF connectors is an ongoing demand for smaller components in network systems. Using SFF connectors, it is possible to get many more interfaces on a single card. In addition, the use of connectors, rather than direct soldering, increases the flexibility and versatility of network systems, and makes it easier and less expensive to maintain them. The fact that there are several SFF connector configurations allows the use of products from multiple sources. An argument has been made for standardization, but individual connector makers have so far resisted this idea, preferring instead to develop and promote their own connector designs. SFF connectors are used with transceivers called small-form-factor pluggable (SFP) modules. This design has been called a miniature gigabit interface converter (GBIC). A gigabit interface converter (GBIC) is a transceiver that converts electric currents (digital highs and lows) to optical signals, and optical signals to digital electric currents. The GBIC is typically employed in fiber optic and Ethernet systems as an interface for high-speed networking. The data transfer rate is one gigabit per second (1 Gbps) or more. GBIC modules allow technicians to easily configure and upgrade electro-optical communications networks. The typical GBIC transceiver is a plug-in module that is hot-swapable (it can be removed and replaced without turning off the system). The devices are economical, because they eliminate the necessity for replacing entire boards at the system level. Upgrading can be done with any number of units at a time, from an individual module to all the modules in a system. A network interface card (NIC) is a circuit board or card that is installed in a computer so that it can be connected to a network. A network interface card provides the computer with a dedicated, full-time connection to a network. Personal computers and workstations on a local area network (LAN) typically contain a network interface card specifically designed for the LAN transmission technology . Peripheral Component Interconnect Express (PCIe or PCI-E) is a serial expansion bus standard for connecting a computer to one or more peripheral devices.PCIe provides lower latency and higher data transfer rates than parallel busses such as PCI and PCI-X. Every device that’s connected to a motherboard with a PCIe link has its own dedicated point-to-point connection. This means that devices are not competing for bandwidth because they are not sharing the same bus. Peripheral devices that use PCIe for data transfer include graphics adapter cards, network interface cards (NICs), storage accelerator devices and other high-performance peripherals. With PCIe, data is transferred over two signal pairs: two wires for transmitting and two wires for receiving. Each set of signal pairs is called a “lane,” and each lane is capable of sending and receiving eight-bit data packets simultaneously between two points.PCIe can scale from one to 32 separate lanes; it is usually deployed with 1, 4, 8, 12, 16 or 32 lanes. The lane count of a PCIe card is a determining factor in its performance and therefore in its price. For example, ann inexpensive PCIe device like a NICs might only use four lanes (PCIe x4). By comparison, a high-performance graphics adapter that uses 32 lanes (PCIe x32) for top-speed transmission would be more expensive. PCIe bus slots are typically backward compatible with other PCIe bus slots, allowing PCIe links that use fewer lanes to use the same interface as PCIe links that use more lanes. For example, a PCIe x8 card could plug into a PCIe x16 slot. PCIe bus slots are not backwards compatible, however, with connection interfaces for older bus standards. 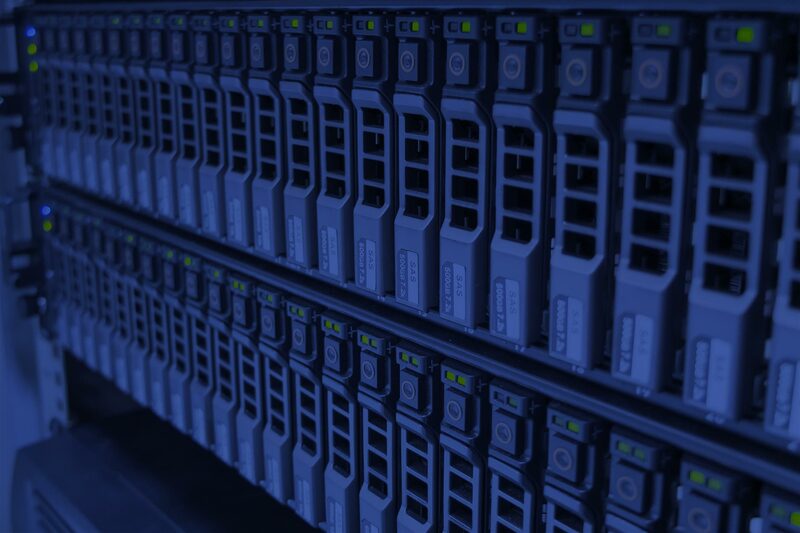 With PCIe, data center managers can take advantage of high-speed networking across server backplanes, and connect to Gigabit Ethernet, RAID and Infiniband networking technologies outside of the server rack. The PCIe bus also interconnects clustered computers that use HyperTransport. Couldn't find what you were looking for? Or still have questions? Contact us now.